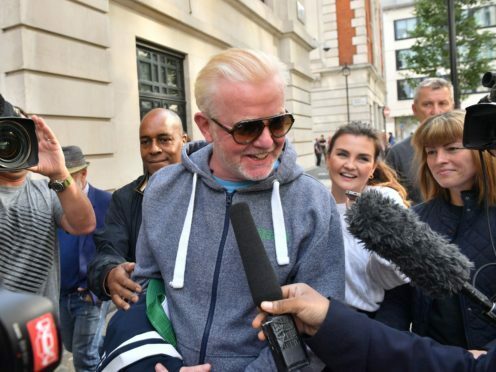 While Radio 2 pulls in an average weekly audience of nearly 15 million, Chris Evans’ new home, Virgin Radio, notches up just 413,000 listeners. Its Breakfast Show is currently hosted by the relatively obscure Sam and Amy. The presenting pair are being offered a new slot on the station. With an average weekly audience of 9.3 million, Evans is quitting the UK’s most popular breakfast show to start up a rival breakfast show. He's back! Chris Evans is returning to his spiritual home on Virgin Radio in the New Year to wake up the nation. But he has a chequered history with Virgin Radio. The DJ hosted Virgin Radio’s Breakfast Show from 1997 to 2001, when he was sacked for “breach of contract”. The TFI Friday host had failed to turn up for work after several highly-publicised drinking sessions with his then wife Billie Piper. In 2003, he lost his battle for multimillion-pound damages against the radio station where he was once the star. Evans had claimed that Virgin Radio withheld £8.6 million of his share options after terminating his breakfast show contract in the highly-publicised bust-up. Evans’ production company Ginger Media Group snapped up Virgin Radio for £85 million, stunning rival bidder Capital Radio, in 1997. Just a couple of years later Evans, earned himself £75 million by selling his radio and television group, including Virgin Radio, for £225 million to Scottish Media Group. Virgin Radio became Absolute Radio when, in 2008, Scottish Media Group sold to a division of the Times of India group of companies. The sale did not include the rights to continue to use the Virgin name. Virgin Radio returned to the UK airwaves in March 2016. Other presenters include Kate Lawler and stand-up comedian Matt Richardson. Virgin Radio UK is owned by Wireless, which was acquired by News UK – whose newspaper titles include The Times, The Sunday Times and The Sun – in 2016. Wireless also comprises talkSPORT and talkRADIO as well as 30 local radio stations in the UK and Ireland. Sir Richard Branson owns the intellectual property on the Virgin brand, which is licensed to Wireless. According to industry body Rajar, digital listening is currently around 50% of all radio listening. Virgin Radio is available on DAB digital radio, online and on mobile via the Virgin Radio app.